On the 43rd anniversary of Emergency, Union Minister and Bharatiya Janata Party (BJP) leader Arun Jaitley wrote a two-part blog wherein he accused former Prime Minister Indira Gnadhi of turning democracy into constitutional dictatorship and compared her with German dictator Adolf Hitler. "Both Hitler & Mrs. Gandhi never abrogated the Constitution. They used a republican Constitution to transform democracy into dictatorship. Hitler arrested most of the opposition Members of Parliament and converted his minority Government in Parliament into a 2/3rd majority government," Jaitley wrote. "The Representation of People Act was retrospectively amended to insert those provisions so that the invalid election of Mrs. Gandhi could be validated by changes in law. Unlike Hitler, Mrs. Gandhi went ahead to transform India into a 'dynastic Democracy,'" he added. 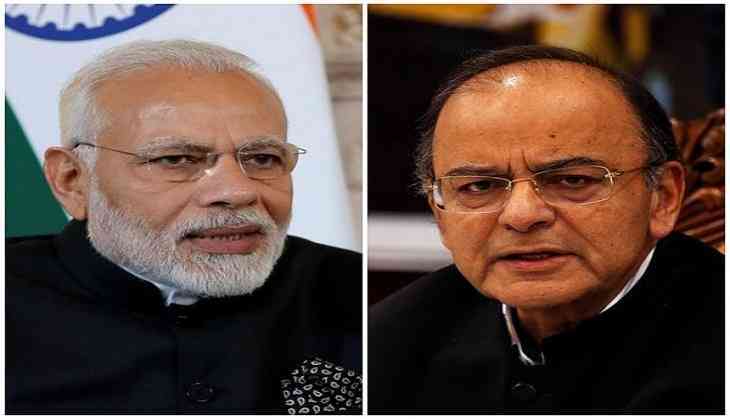 Prime Minister Narendra Modi on Monday supported Jaitley and shared the links of his Facebook posts on Twitter. "Shri @arunjaitley writes about the dark days of the Emergency, the trampling of personal liberties, excesses committed and how the Emergency was a direct attack on our Constitutional ideals. Do read his blogs," the Prime Minister tweeted. Shri @arunjaitley writes about the dark days of the Emergency, the trampling of personal liberties, excesses committed and how the Emergency was a direct attack on our Constitutional ideals. Do read his blogs. Indira Gandhi, the mother of former Prime Minister Rajiv Gandhi and the grandmother of Congress president Rahul Gandhi, was the Prime Minister of India between 1966 and 1984. Jaitley said Hitler, who became the German Chancellor in January 1933, asked his President to invoke Emergency in the name of protecting people. "The decree giving emergency powers put restrictions on personal liberty, free speech... The pretext for imposition of Emergency was that on February 27, 1933, German Parliament House, known as 'Reichstag', had been set on fire. Hitler claimed that it was a communist conspiracy to burn Government buildings and museums. Thirteen years later, in the Nuremberg trials, it was established that Reichstag fire was the handiwork of Nazis and Goebbels had conceived it," he wrote. Meanwhile, the Bharatiya Janata Party (BJP) observed the 1975 Emergency Anniversary as a 'Black Day' on Monday.